To take that shot, I literally and figuratively had to abandon my friends for aabout 2 hours on the second day of our trip to go to Reitdiephaven. They went to the museum instead. 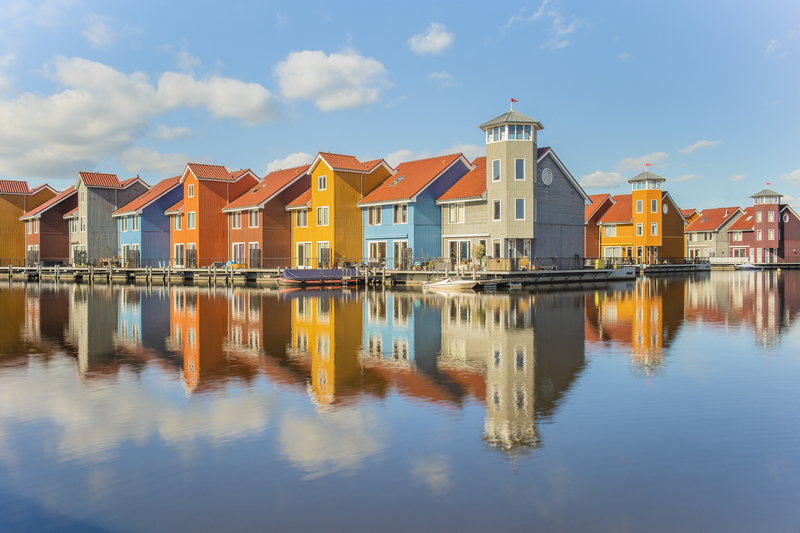 Reitdiephaven is a special location in Groningen, since there are a lot of very colourful, scandinavian style homes built on piers that stretch into the marina there. It’s a really beautiful location. But since my usual editing process takes away a lot of the colour, I had to change my workflow. It just didn’t do the place any justice. And it took me a while to get it right. When I arrive on location, a quickly figured out that I wasn’t going to be happy with a standard quick exposure, so I pulled out my tripod, popped my ND filter on and started experimenting with different compositions and settings. As to not introduce camera shake into my photos, I used my wireless remote and a two second timer for most of my shots. In the end, I came out with my favourite shot of Groningen, and also with one of my favourite shots of the whole trip.